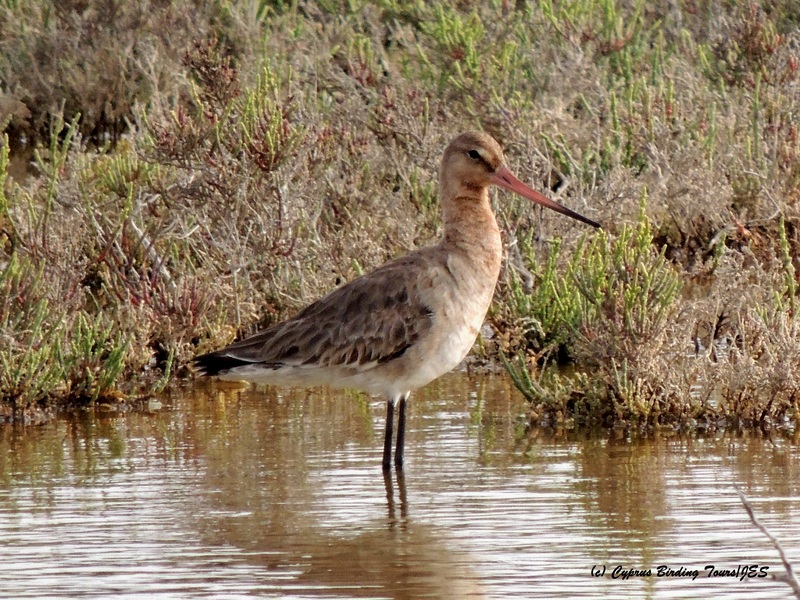 Categories: Birding | Tags: Common Redshank, Common Ringed Plover, Common Snipe, Cyprus Birding, Cyprus birds, Cyprus birdwatching, Dunlin, Eurasian Hoopoe, Glossy Ibis, Little Stint, Osprey, Spur-winged Lapwing | Permalink. A day around the Paphos birding spots with Brenda and George today. We started at Petra tou Romiou where we had a dozen overhead Alpine Swift, singing male Cyprus Wheatear and Warbler as well as two distant Eleonora’s Falcon and close up views of a Peregrine Falcon. 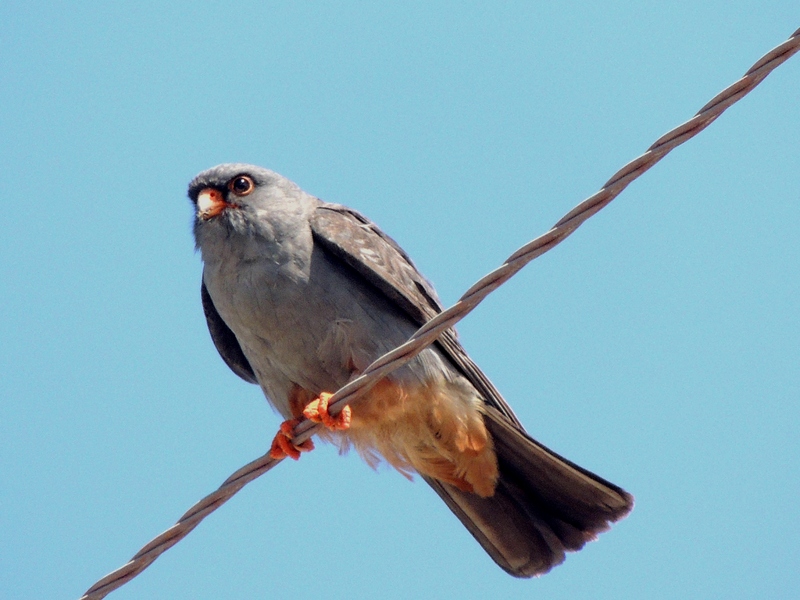 We then explored the area behind Asprokemmos Dam near the mast where we spent some time watching a family party of Spectacled Warbler, saw a male Eastern Black-eared Wheatear, a couple of Whinchat, a pair of Red-rumped Swallow and a migrating Purple Heron. On approaching the Dam itself we were pleased to see an Osprey flying over the area. 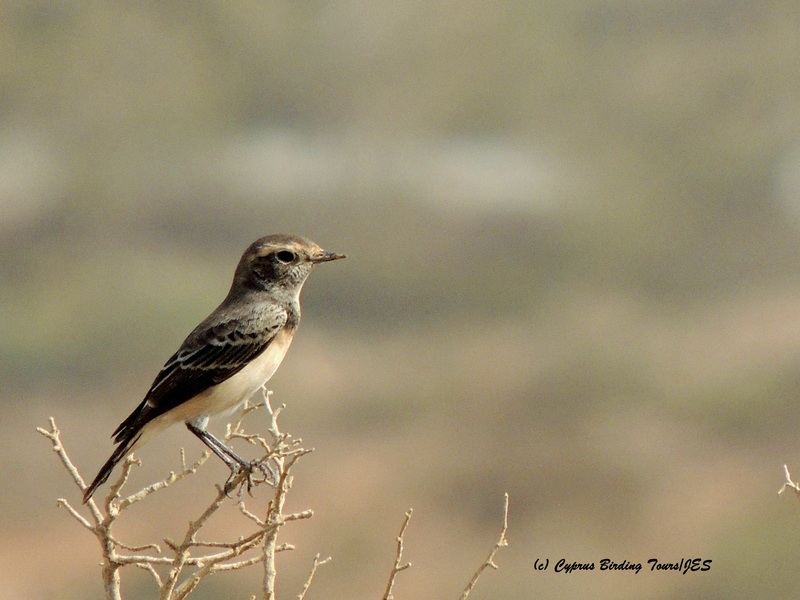 In the trees of the amenities area near the Dam we found two male Collared Flycatcher, two Spotted Flycatcher and a Eurasian Hoopoe. Moving to the Sewage Works we quickly found our target species – the Spur-winged Lapwing. There were at least seven birds around the Plant buildings and in fields. We watched at least 35 migrating Glossy Ibis and also found our only Yellow Wagtails of the day – two Black-headed around a small puddle of water. On arrival at the coast of Mandria we saw seventeen Northern Pintail flying E along the coast. In a field we found three Spur-winged Lapwing and a Ruff and a male Red-backed Shrike on a tree near the picnic site where we ate our lunch. Moving inland we headed to the Ezousas Valley behind Agia Varvara village. A lone Garganey was on one of the pools there and we also found Spanish Sparrow, Eurasian Turtle Dove and Eurasian Reed Warbler. We finished the day in Anarita Park. There we found three pairs of Great Spotted Cuckoo, two Little Owl, a hunting female Pallid Harrier, around twenty Lesser Kestrel, a European Roller, a Woodchat Shrike, two Whinchat and a Long-legged Buzzard. As at our first stop we also had Cyprus Wheatear and Cyprus Warbler. A good end to a good day’s birding. Categories: Cyprus Birding Tours Trip Reports | Tags: Alpine Swift, Asprokremmos Dam, Collared Flycatcher, Cyprus Birding, Cyprus birds, Cyprus birdwatching, cyprus trip reports, Cyprus Warbler, Cyprus Wheatear, Eleonora's Falcon, Eurasian Hoopoe, Eurasian Turtle Dove, European Roller, Garganey, Glossy Ibis, Great Spotted Cuckoo, Lesser Kestrel, Long-legged Buzzard, Osprey, Pallid Harrier, Paphos birding, Peregrine Falcon, Red-backed Shrike, Spur-winged Lapwing, Woodchat Shrike | Permalink. It was good to meet up with Carl and Riss again and enjoy some friendly birding around Paphos. We checked out several locations that were new to them so they could visit themselves later in their holiday and found some good species on the way. It was much quieter than it has been over the last two weeks and we especially noted a big reduction in the number of European Bee-eaters around. The star turns of the day were a male Western Marsh Harrier we saw with prey (probably a female Black Francolin) in its talons even though it then disappeared into an alfalfa field and defied all our attempts to relocate it; an Osprey we watched fishing at Asprokremmos Dam; and a lone male Red-footed Falcon on wires near the small church at Mandria. 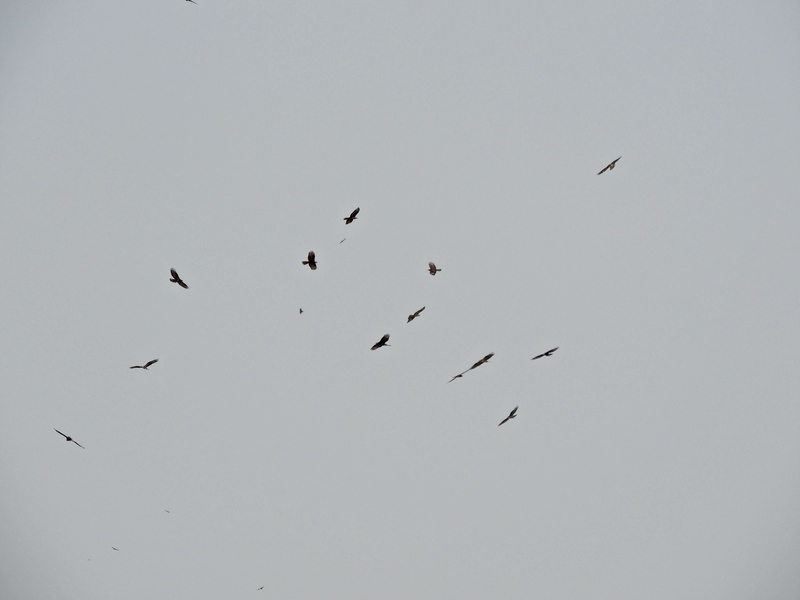 Long-legged Buzzard were seen at Agia Varvara, Mandria and Kouklia Soakaways. 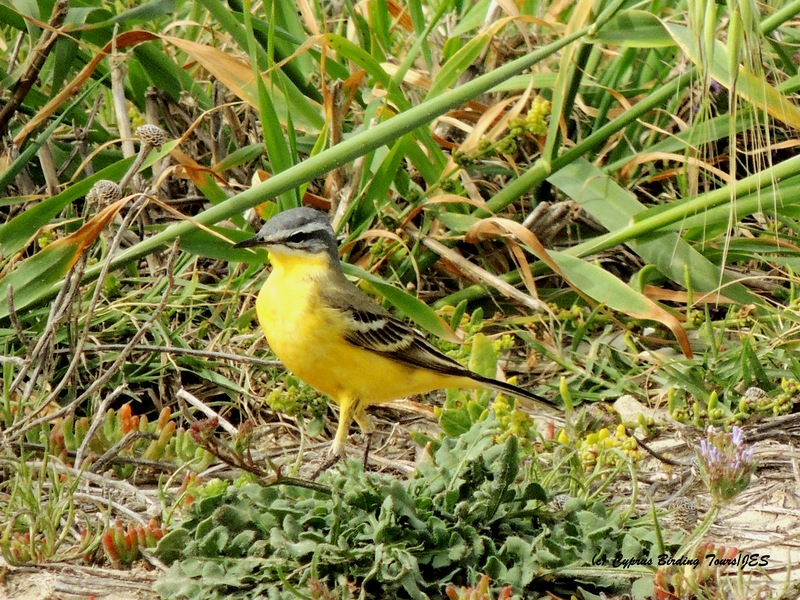 We found a Cyprus and Isabelline Wheatear at Agia Varvara and several Greater Short-toed Lark and Tawny Pipit in the fields of Mandria where there were also many Yellow Wagtail, Whinchat and Northern Wheatear. In the wetter areas at Agia Varvara there were three Common Snipe. There we also heard a Water Rail and managed to see rather than hear two Cetti’s Warbler. A juvenile Eleonora’s Falcon was perched in a tree at Petra tou Romiou where two Hooded Crow and three other Eleonora’s joined it for a while – it got a bit crowded! Other good birds included at least two Whiskered Tern on Asprokremmos Dam, two European Roller at Mandria, four Spur-winged Lapwing at Paphos Sewage Works and a Grey Wagtail at Kouklia Soakaways. Categories: Cyprus Birding Tours Trip Reports | Tags: Asprokremmos Dam, Cyprus Birding, Cyprus birds, Cyprus birdwatching, cyprus trip reports, Cyprus Wheatear, Eleonora's Falcon, European Roller, Greater Short-toed Lark, Isabelline Wheatear, Long-legged Buzzard, Osprey, Paphos birding, Red-footed Falcon, Spur-winged Lapwing, Tawny Pipit, Whiskered Tern | Permalink.